The renowned German-language platform CHIP.de regularly tests and recommends products from the fields of computers, home entertainment, mobile phones and digital cameras. In March 2012 the CHIP laboratory has had a long-term test on various digital camera batteries. CHIP has tested four models of batteries and for that purpose 20 batteries from different manufacturers were chosen for detailed examination. 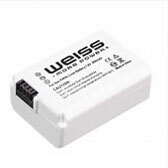 WEISS won the test as a battery for Sony NP-FW50 and the battery for Canon EOS. 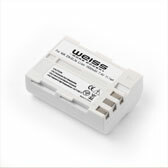 The WEISS battery has proved here in comparison to the original manufacturer of the camera as a cheaper and recommended alternative. Even the WEISS Battery BCG10E for Panasonic performed well.